As the first level in Intel's new processor family, the previous generation Intel® Core™ i3 processor is the perfect entry point for a fast, responsive PC experience. This processor comes equipped with Intel® HD Graphics, an advanced video engine that delivers smooth, high-quality HD video playback, and advanced 3D capabilities, providing an ideal graphics solution for everyday computing. 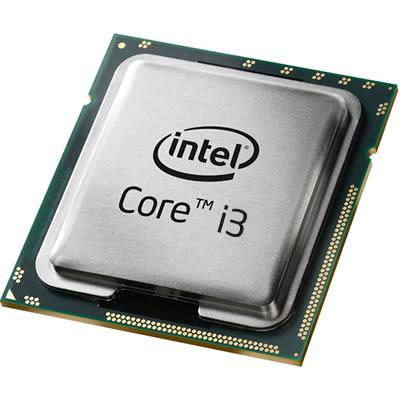 A smart choice for home and office, the Intel Core i3 processor also features Intel® Hyper-Threading Technology (Intel® HT Technology),¹ which enables each core of your processor to work on two tasks at the same time, delivering the performance you need for smart multitasking.